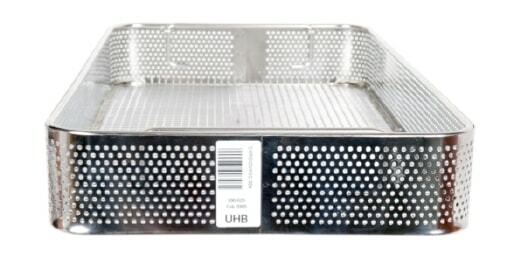 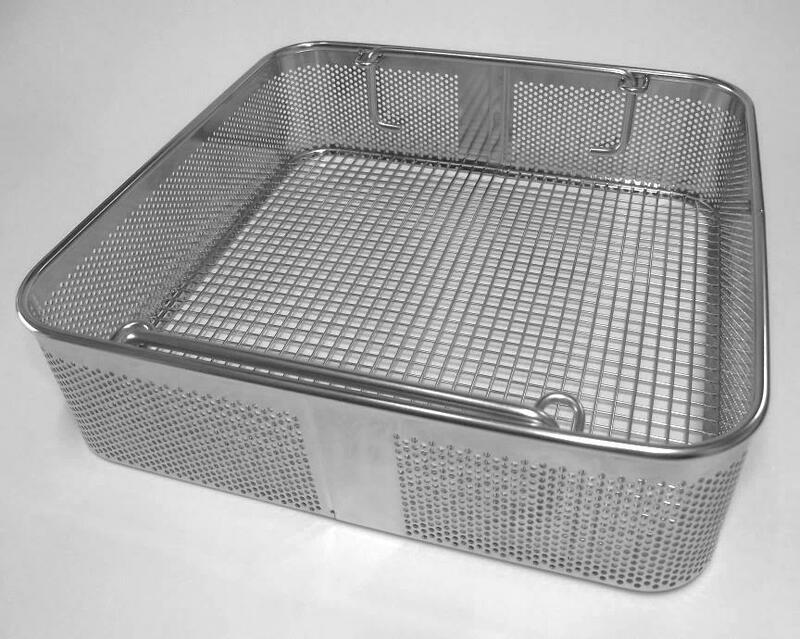 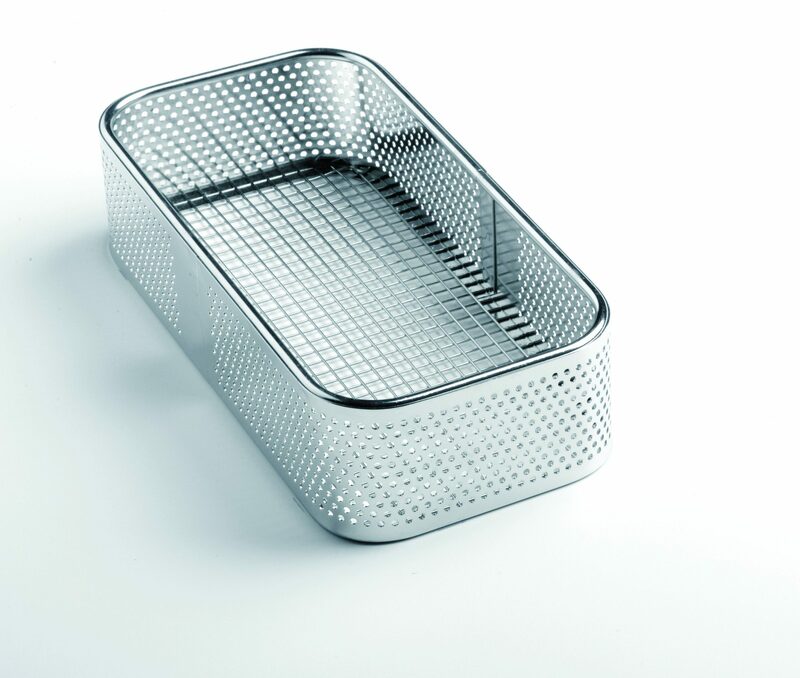 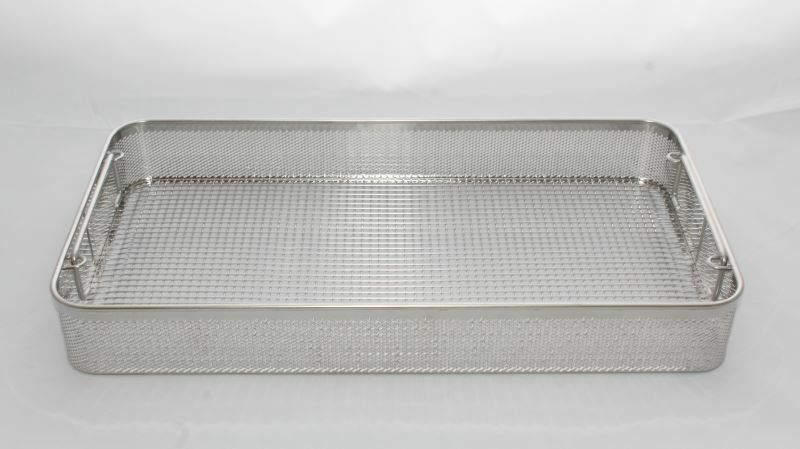 Stainless Steel Instrument Basket with Perforated Sides and Straight Wire Mesh Base and Handles. 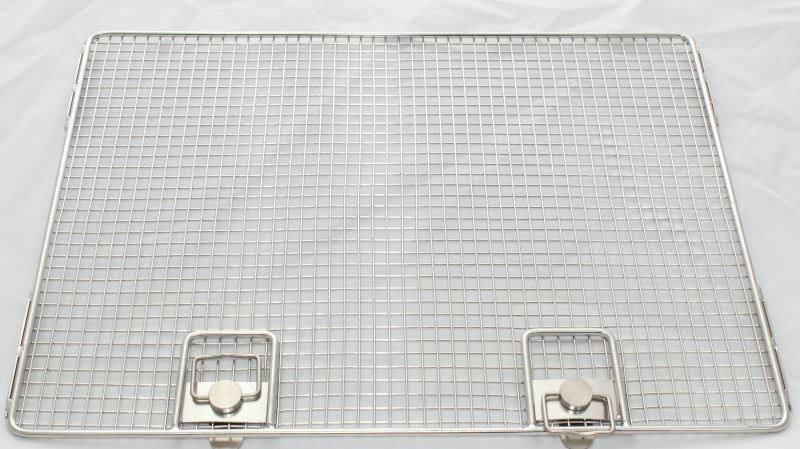 Stainless Steel Wire Mesh Lid with Turn Catch Locking Made to Fit onto a DIN Style Basket. 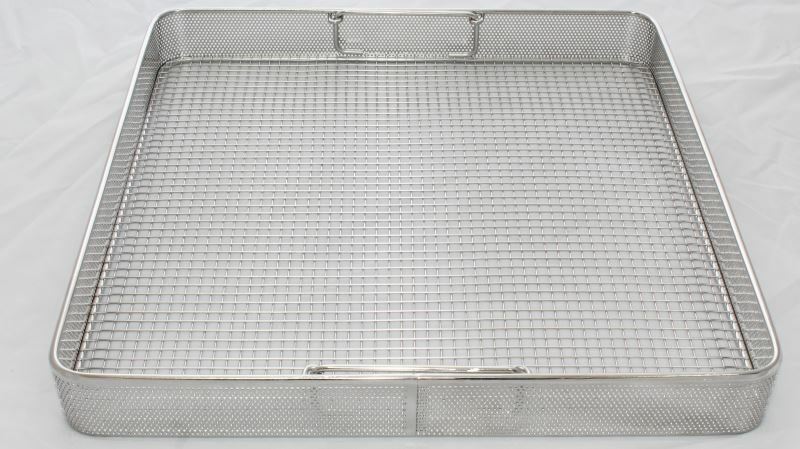 Available for all DIN Style Baskets (Standard and Custom Sized).